It is so cool to set our favorite songs as phone ringtone. Or with time going and music taste changing, we probably want to change the phone ringtone spontaneously, or we are just fond of a song and feel that it is perfect as phone ringtone when the first time we listen to it. And we have many music sources for listening or phone ringtone, so today we mainly talk about how to create Spotify music as Android phone ringtone. It does not matter if you have an iPhone, you can take use Spotify music as iPhone ringtone as reference. 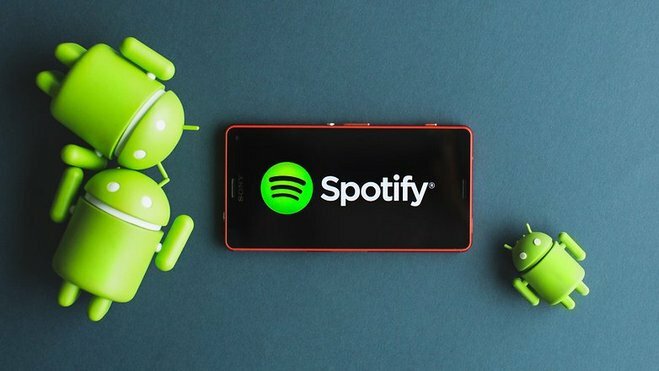 Since Spotify music are protected and we are limited to create Spotify music as Android phone ringtone directly even though the premium subscribers, and fortunately, thanks to Sidify Music Converter for Spotify, there is still a way out to create Spotify music as Android ringtone. 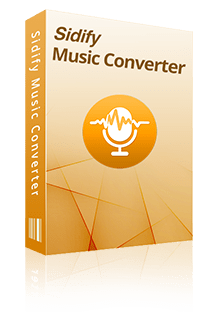 With Sidify Music Converter for Spotify, the DRM protection can be easily ripped and audio formats like MP3, AAC, WAV, FLAC supported by Android phones will be obtained with 100% original audio quality. You can choose one audio format you prefer to download DRM-free music from Spotify. Here we'll take the Windows version for tutorial demonstration. 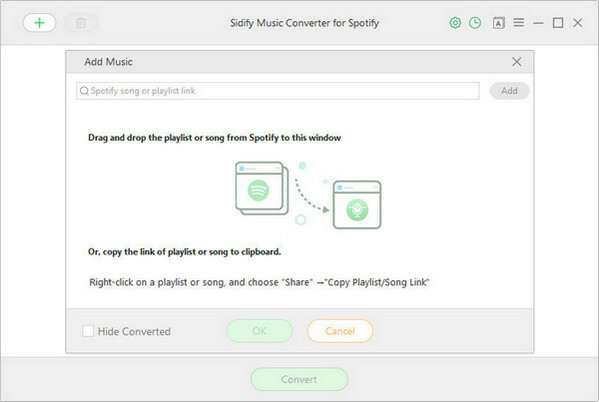 Click the link above to download the right version of Sidify Music Converter for Spotify according to your computer system. 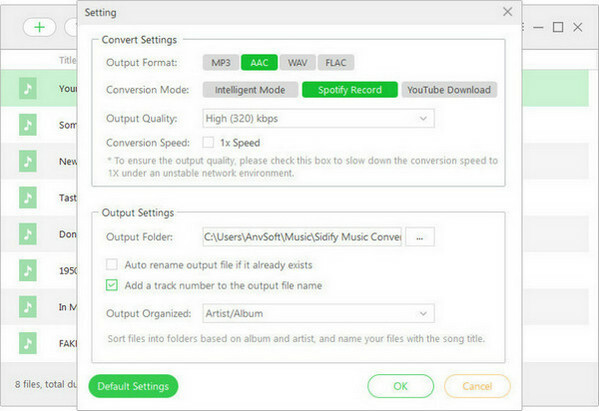 Launch Sidify Music Converter and Spotify app will open automatically. 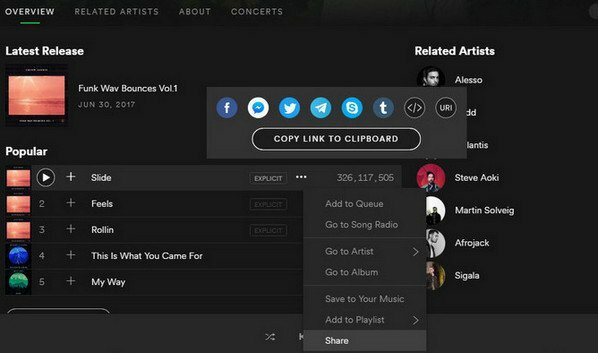 Find the music you want to set as ringtone on Spotify and right click on it to select "Share", then click "Copy link to clipboard". Go back to Sidify Music Convetrer and click or "Click Here to Add Audio", then a pop-up window will show to let you paste the link. After Sidify finish the analysis of the URLs. 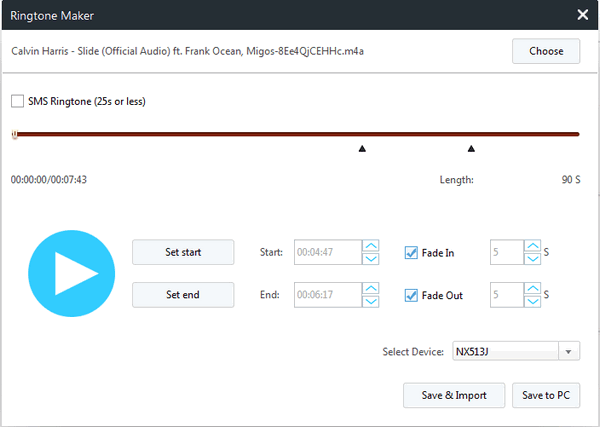 Click "OK" to add the music to Sidify Music Converter for Spotify. Click to choose the output format (here you can choose MP3 as output format), conversion mode, output quality and output path. Click "Convert" button to start conversion. After finishing the conversion, you can click to find the output MP3 files. You can import the MP3 audio you downloaded on Spotify from PC to Android phones via USB cable, and go to the setting section on Android to set the Spotify music as ringtone. Or if you want more options to adjust ringtone, you can use another free ringtone maker Syncios Android Manager to set Spotify track as the Android phone ringtone. 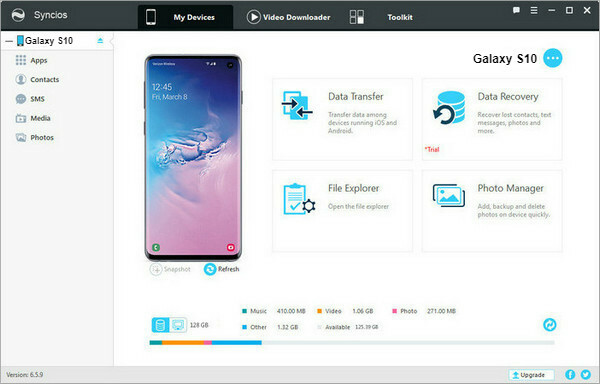 Download and install Syncios Android Manager on PC, connect your Android phone to PC via USB cable. After Syncios finishing the analysis, you can click on "Toolkit" and select "Ringtone Maker" from the pop-up page. 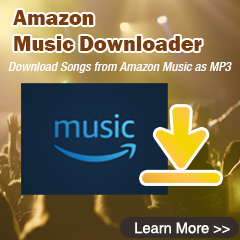 Import the converted MP3 track from PC to the pop-up window. Edit the segment you want for ringtone. Finally, press Save & Import button to save the ringtone you make to Android phone. Tips : You can download music from online sites like YouTube, VEVO, SoundCloud and set it as your Android phone ringtone with Syncios Mobile Manager. 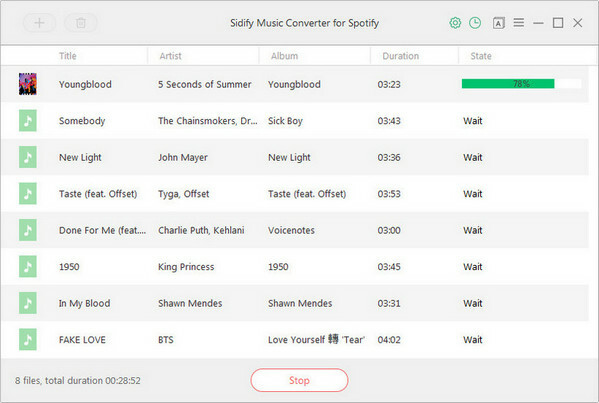 Note : The trial version of Sidify music converter for Spotify enables us to convert 3-minute for each audio file, you can unlock the time limitation by purchasing the full version.